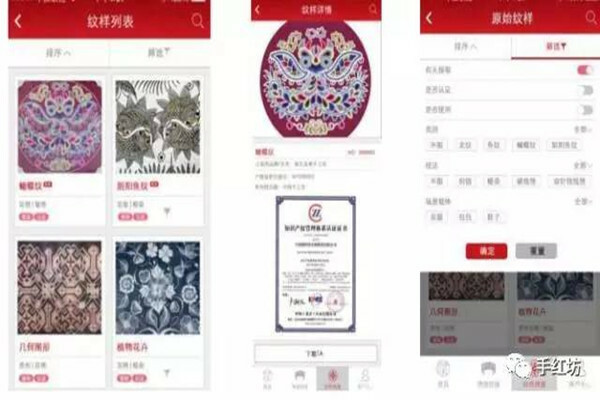 EVE CINA, a company located in Fengtai district, Beijing, has created an online platform for embroidery in Qianxinan Bouyei and Miao autonomous prefecture, with the aim of expanding the market and promoting traditional crafts. The online platform has attracted many orders, providing a new way for embroidery artists to earn a living. 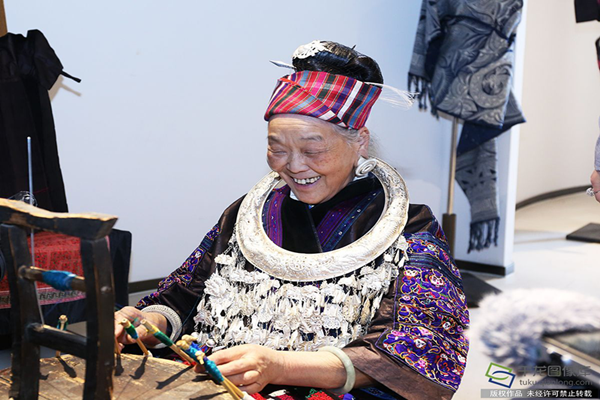 Pan Yuzhen, a 72-year-old artist, earns a monthly income of between 10,000 to 20,000 yuan ($1,588 to $3,176), several times greater than before. Eve Group's main business is fashion design. 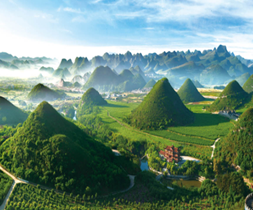 Fifteen years ago, when some designers from the company were on an exploration tour of Qianxinan prefecture, they were impressed by the exquisite craftsmanship of local artists. However, they were saddened to learn that the number of artists skilled in the techniques of traditional embroidery is now very small, and their skills are on the verge of dying out. In response, they began to collect patterns, establish museums and build workshops to keep the traditional craft alive. 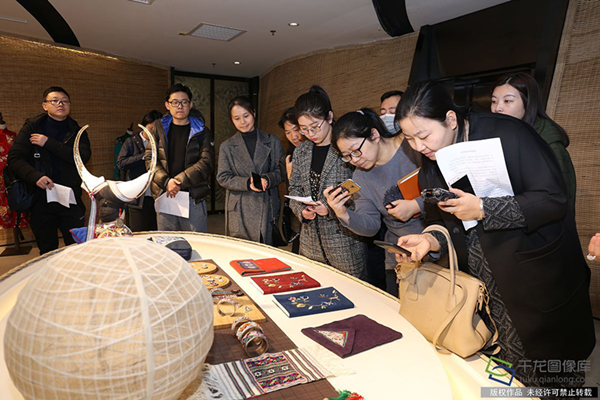 So far, the company has built 13 museums for handicrafts in mountainous areas, organized training for thousands of artists, collected more than 4,000 traditional patterns, and gathered information on 8,000 different artists. It has also set up the biggest databank for traditional Chinese handicrafts. In EVE CINA's building in Beijing Garden Expo many delicate examples of traditional embroidery are on display. Many of the pieces are used in products like bags, shoes and caps. Through a combination of traditional craftsmanship and creative design, this intangible cultural heritage has been kept alive.